Arthur’s dream makes a wonderful space for all children to enter. Here they too can dream and wonder. Have you ever had a dream so wonderful you wanted to tell everyone? Arthur has! He dreamt about an amazing beautiful pink and green boat with a stripy mast but...No one (not even his dog!) is interested in hearing about it. In fact, they don't even notice that this very same boat is growing on his head, getting larger and larger by the minute! 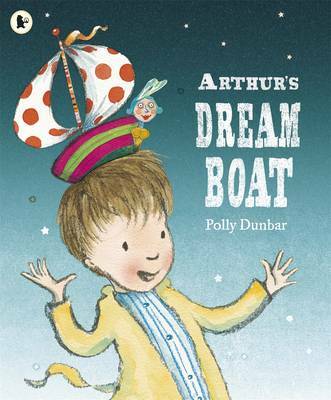 Soon, Arthur is bouncing along the waves in his very own dream boat. Maybe now his family will listen to him! 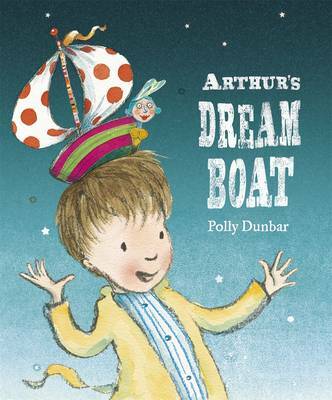 A magical picture book with playful, modern touches and a breathtaking colour palette, so enchanting that readers will be scrambling for a seat in Arthur's dream boat. 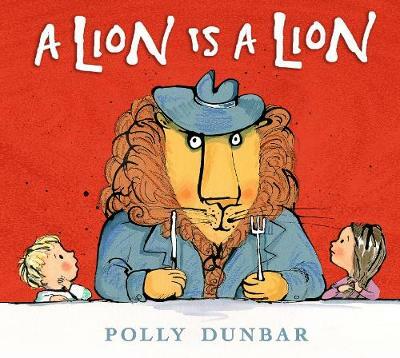 Wonderful, witty characters are set in a very distinctive Polly Dunbar world, infused with beauty and originality. 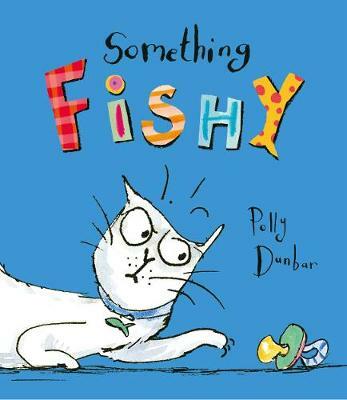 Try and spot the subtle watery references hidden throughout the pictures!